One of the oldest features of Search Console was the Content Keywords list, which was a feature from the very first version of Webmaster Tools in 1997. This week we learned that Google has decided to scrap it – the change went almost entirely unnoticed. The Content Keywords report from WMT / Search Console showed webmasters how Google understands a website, based on the frequency of different keywords. The report was very basic, just offering a list of keywords (not keyword phrases) that are assumed to be most important, based on the frequency of use. However, Google has decided that the content keywords report is no longer of any use – at least, that is what we must surmise based on its removal. This is not the first time Google has taken keyword data away from webmasters. A few years ago Google removed keyword search data from Google Analytics, much to the horror of SEOs all over the world. Suddenly, webmasters could not see which search terms people were using to find their website – one of the most important SEO metrics was deleted. Of course, there is no reason to feel panic over this news. 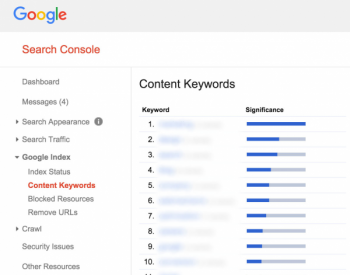 Google provides far more useful tools in Search Console than content keyword data. One of the more useful tools in understanding how Google views a website is the fetch and render tool. 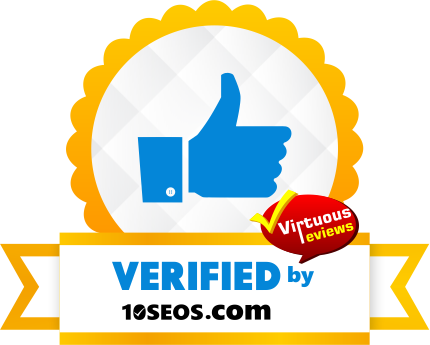 This provides you with invaluable information on how Google sees your website, and when combined with search analytics, you will better understand what people are using your site for, and how Google ranks it accordingly. Google does still display a lot of keyword information though. In Search Console, for example, you can still see data on which search terms your website shows in search for. This is arguably far more useful that simply showing which terms people visit from, because by knowing the average position in search and click through rate, you can work to optimise pages to perform better. Without this data, you cannot know how big the potential market is, and therefore will never know how far to take your optimisation efforts. The way Google ranks websites has changed immeasurably over the past 20 years so it stands to reason that it will update its own search tools to reflect this. Google still provides a wealth of data in Search Console and Google Analytics, which can be used effectively to rank websites better. If you need some help understanding your Search Console data or optimising your SEO campaign, contact Freelance SEO Essex today.